Stephen King's 'Dark Tower' Saga, Illustrated Horror guru Stephen King talks about The Long Road Home, the latest installment in the comic book series inspired by his Dark Tower epic. Gunslinger hero Roland Deschain is on the run with his posse in the continuation of the saga, illustrated by Jae Lee and Richard Isanove. Do you have a question for Stephen King about 'Dark Tower'? To the delight of Stephen King fans, the latest installment in the Marvel comic book series inspired by his Dark Tower epic was released in early March. 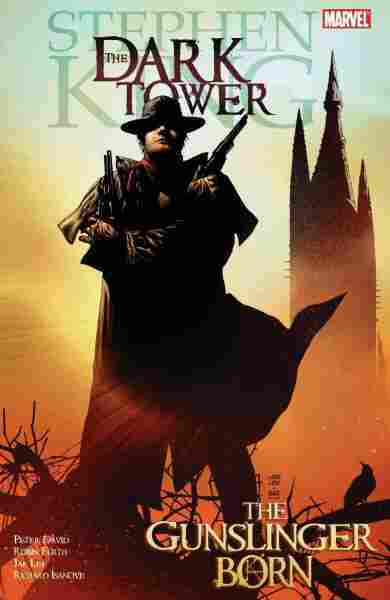 The illustrated saga was kicked off in the graphic novel Dark Tower: Gunslinger Born, which introduced young hero Roland Deschain in the midst of his coming-of-age journey. The newly released Dark Tower: The Long Road Home, is a continuation of the narrative, with the young gunslinger on the run with his posse. King collaborated with writer Peter David, consultant Robin Furth, and illustrators Jae Lee and Richard Isanove on the project. 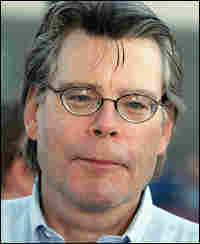 "I'm just somebody who's always been interested in how things work in different medium," King says. "I have a tendency to say 'yes' to projects rather than to say 'no' just because I'm curious. I want to see how things turn out." The best-selling novelist has written more than 40 novels, and his books appear in 33 languages in 35 different countries. "Comic books are almost like movies on paper," King says. "They came to interest me as a medium because they exist in their own category." King talks with guest host Robert Smith and takes questions from callers.